After spending three years dedicating ourselves to building a simple, mobile and paperless solution for New Zealand & Australian farmers to easily engage with health & safety we’re often confronted with all kinds of verbal “safety warrior” comments from detractors, but we don’t really expect complacence from leaders in the rural community. A Facebook Post by Hamish Walker, MP. 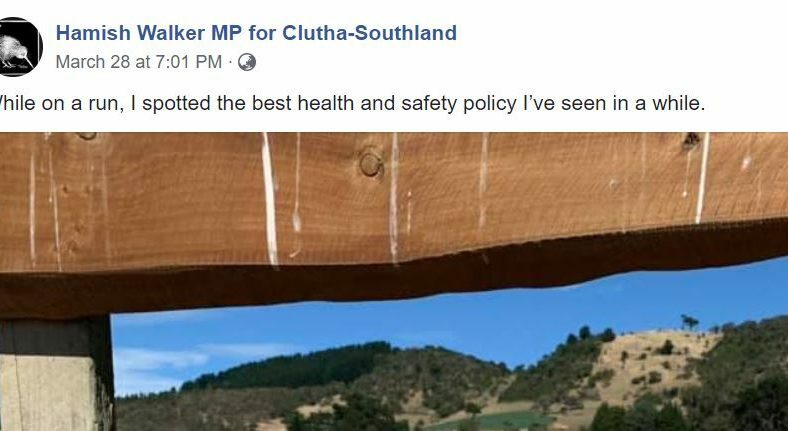 This Facebook post from Hamish Walker, National Party member for Clutha – Southland, makes generating support for our endeavours to push for safety culture change in global Agriculture just that little bit harder. 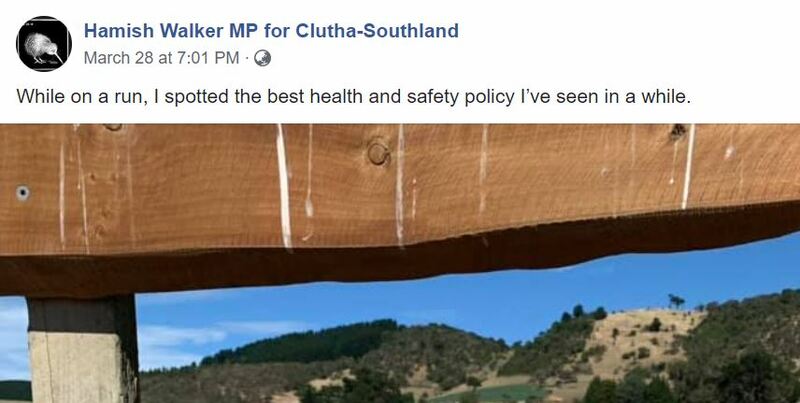 As you’d expect, in appealing directly to a section of the voter base in his constituency with a negative view of safe work practices on the land there were 120 comments, mostly in a supportive vain. What is most disheartening for those trying to make a difference in farm health & safety is this post has been shared 4,519 times. Each time by a person who one presumes feels health & safety regulation in Agriculture is an unwelcome intrusion. If someone is killed at work on a farm, well it’s just an unfortunate accident or the person had no “common sense”. Right? This builds on the notion that farming is different, not like any of the other industries governed by the Health & Safety at Work Act or those other PCBU’s who abide by it. If prevention of serious injuries & deaths in agriculture was just down to common sense why are 91,000 workers in agriculture killed or serious injured every year in the USA. Why are you seven times more likely to be killed in the UK working in Agriculture than in construction. Why is a rural worker killed on an Australian farm on average once a week? Is it really down to common sense? And, if common sense is the key, why is there no change in the hideous death and injury statistics right here in New Zealand farming? In sectors such as oil & gas, mining, construction & forestry the core reason these industries reduced their own woeful workplace injury & death statistics was through real cultural change supported by enforcement & regulation. It wasn’t through “common sense” & nonchalant entrance signage. Worksafe, ACC, private H&S consultants, agriculture leaders, progressive farmers and private enterprise are all trying really hard to make a profound difference in this sector. To tilt apathetic attitudes, drive safety culture & save lives. Perhaps Mr. Walker meant nothing by this. Perhaps he and his office weren’t really on point when they published it. But these kind of flippant comments from people in seats of influence make our task all the more challenging in a space, which frankly, is already challenging enough. Opinion: Mark Orr : Co-founder of Zero Harm.